Modern Industrial 30 is an original painting, created with acrylic paint on gallery-wrapped canvas. It has a width of 24 inches and a height of 24 inches with a depth of 1.5 inches (24x24x1.5). 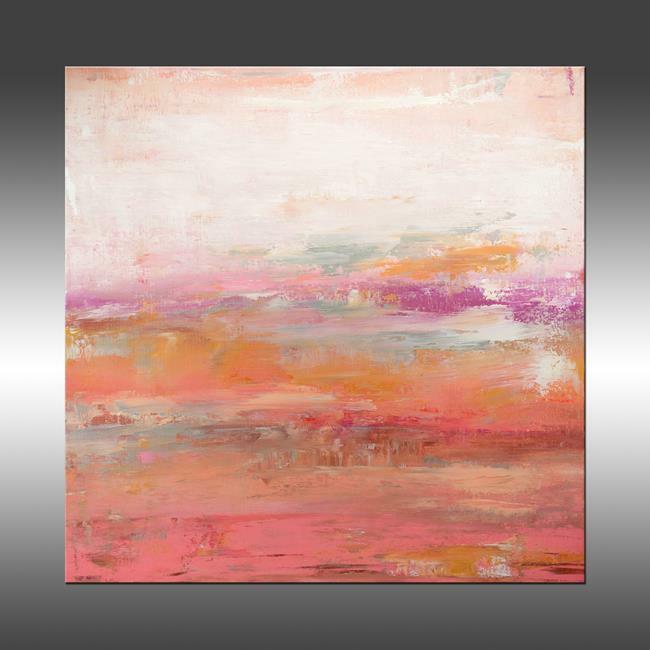 The colors used in the painting are white, pink, fuchsia, orange, cream, gold, silver, and copper. The painting continues onto the edge of the canvas. What I love about this painting: I love these rich, bright colors. Pink, orange, and fuchsia, blended with metallic colors provides a very interesting color palette. The texture combined with these colors adds a lot of depth. An archival, UV resistant, gloss varnish has been applied to protect the surface of the painting. The painting will be signed and dated on the back of the canvas, and signed on the front or edge of the canvas unless otherwise requested. A certificate of authenticity will be included with the shipment. Please contact me with any questions you may have. Thank you!